One of the best things about going on vacation is meeting new friends! We were extremely fortunate this time to meet several neat families. 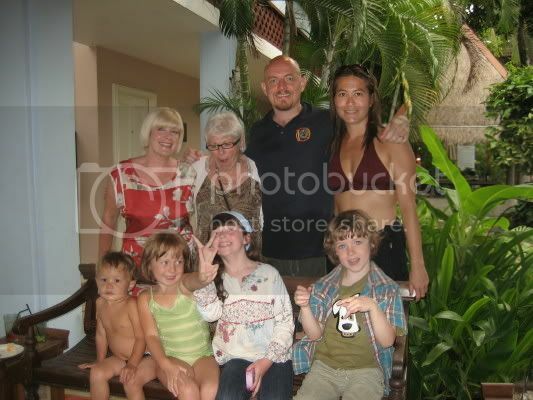 We met a family from Scotland, two Australian families (one living in Bangkok and the other in Shanghai), and an American family living in Ho Chi Min City, Vietnam. It is so great to meet people from other places, especially foreigner living in Asia. It is nice to hear about other experiences and where they have been. Usually the best thing about it is the kids are able to meet new friends! Here are a few pictures of the kids and the friends we met on this trip. 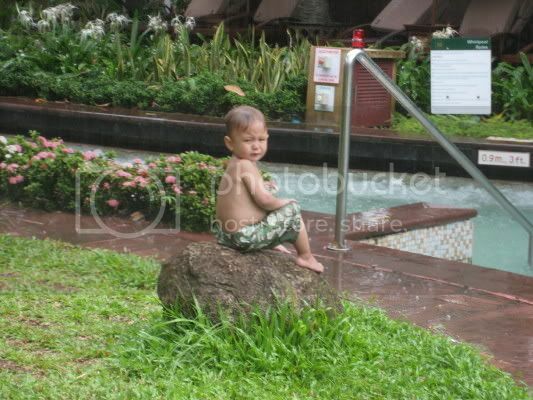 Angus sitting on a rock by the pool during a tropical rain! I love swimming in the rain and so do the kids!!! 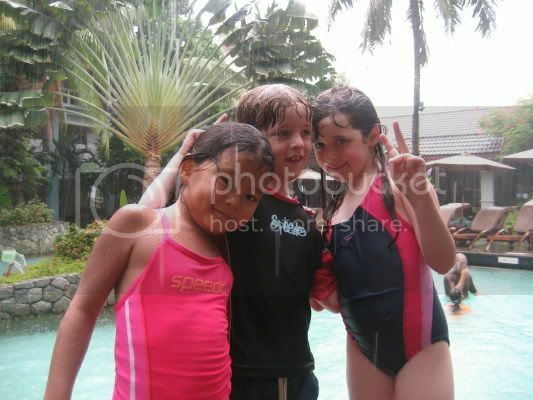 Elly from Bangkok and Rory and Savanah from Scotland! Angus and the boogie board! He looks like a little surfer boy! Angus in his speedo with Gemma and the boogie board! Like father like son! Here is a video clip of the tropical rain! It was really nice. 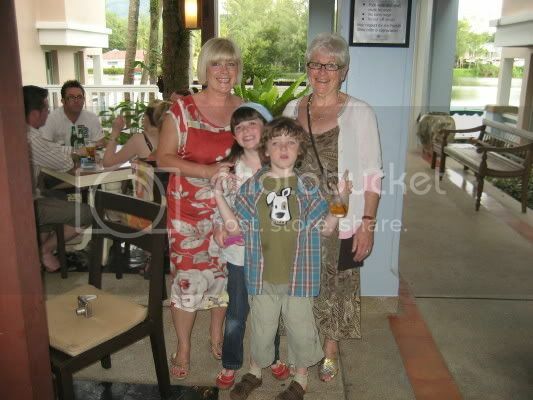 We spent most of our time with the family from Scotland which consisted of Claire the Granny, Brenda the Mom and Rory and Savannah the kids. They were loads of fun and really, really nice. In fact we are looking forward to them all coming to China for a visit in the next year! Here are some photos of us with them at Happy Hour on our last night.